DemonsTier is a roguelike adventure RPG developed by Daniel Fernandez Chavez. A mysterious pit has appeared in the village after a huge earthquake where a dark and evil aura emanated from. Enter the dungeons of king Thosgar and destroy the demonic beings present there. 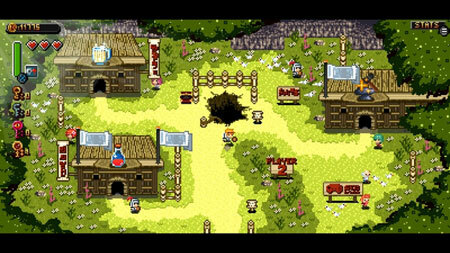 The game features 8 heroes with unique abilities, huge number of items and weapons, and vicious enemies and final bosses. A fearsome enemy awaits you at the end of the journey. If you get stuck in the game, check out the video walkthrough and gameplay for the game. This entry was posted in PC Games, Walkthrough and tagged DemonsTier Cheats, DemonsTier Gameplay, DemonsTier Guide, DemonsTier Strategy, DemonsTier Walkthrough by Marvin. Bookmark the permalink.